Album Artwork by: Gonzalo Aeneas. 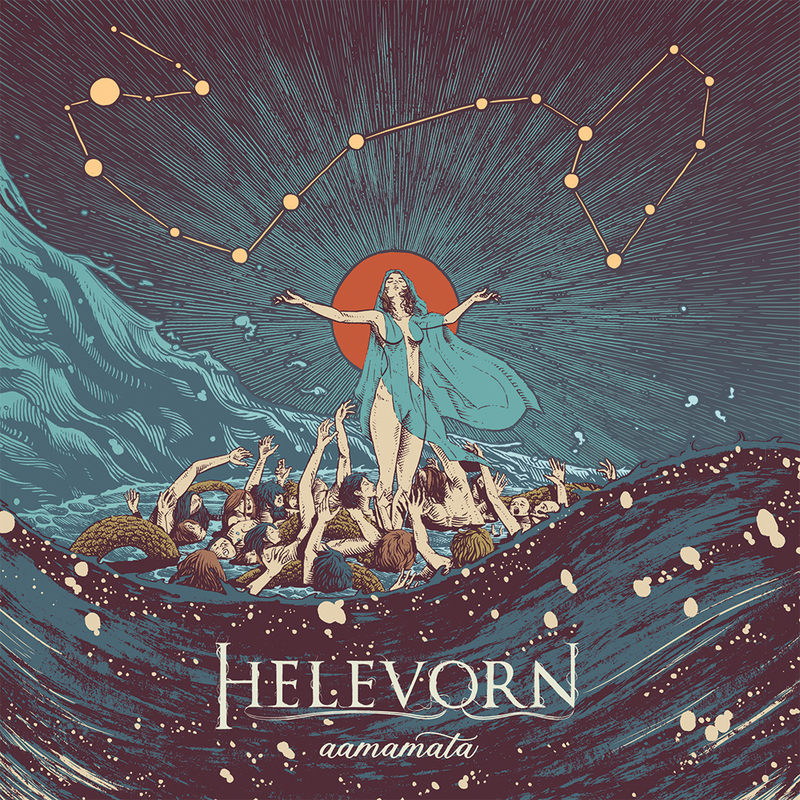 Melancholic doom outfit Helevorn started in 1999 in Palma, Spain, and has been exhibiting their elegant and gloomy music around the world ever since. They began their journey with a demo in 2000, “Prelude” that featured female vocals and followed the gothic doom formula. They were quickly accoladed by the press and they dove into writing, gigging and recording. In 2005 the first full length “Fragments” was released. In 2006 they were asked to contribute to the Katatonia tribute “December Songs” and released the second studio album in 2009 “Forthcoming Displeasures”. This release saw their musical style evolve into a more intense and heavy sound, more forceful and deep. “Compassion Forlorn” was released in 2014; and was accompanied by a music video for “Burden Me”. With more and more fans craving the somber tones and dreary vocals, Helevorn brought their dramatic intensity to many European festivals including Dutch Doom Days, Gothoom Open Air, Wave Gotik Treffen, and Madrid is the Dark Fest. The fourth studio album “Aamamata” will be released on January 23, 2019. Melancholic doom outfit Helevorn started in 1999 in Palma, Spain, and has been exhibiting their elegant and gloomy music around the world ever since. They began their journey with a demo in 2000, “Prelude” that featured female vocals and followed the gothic doom formula. They were quickly accoladed by the press and they dove into writing, gigging and recording. In 2005 the first full length “Fragments” was released. Touring extensively allowed them to bring dark and forlorn music all over Europe, and they were asked to contribute to the 2006 Katatonia tribute “December Songs”. The second studio album 2009’s “Forthcoming Displeasures” saw their musical style evolve into a more intense and heavy sound, more forceful and deep, and was acknowledged as the second best doom metal album of the year by Metalstorm.net. “Compassion Forlorn” was released in 2014; eight tracks full of human decay from deepest sentiments, and continued evolution in the compositions and the band’s sound. 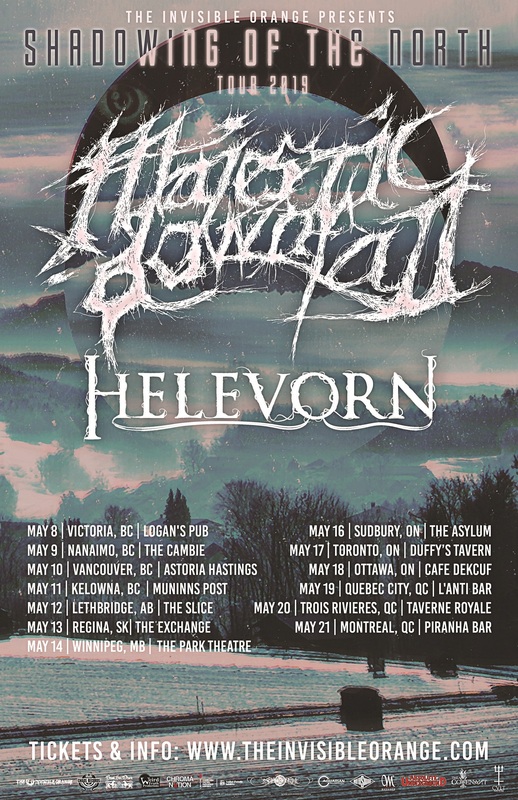 The accompaniment of the “Burden Me” video release firmly anchored Helevorn’s place in the global doom scene. With more and more fans craving the somber tones and dreary vocals, Helevorn brought their dramatic intensity to many European festivals including Dutch Doom Days, Gothoom Open Air, Wave Gotik Treffen, and Madrid is the Dark Fest. The current lineup, consisting of Samuel Morales (guitars), Josep Brunet (vocals), Xavi Gil (drums), Enrique Sierra (keyboards), Sandro Vizcaino (guitars) and Guillem Morey (bass) are primed to release the fourth album “Aamamata” on January 23, 2019. Katatonia, Draconian, Tiamat, Ahab, Moonspell, Swallow the Sun, Saturnus, etc.